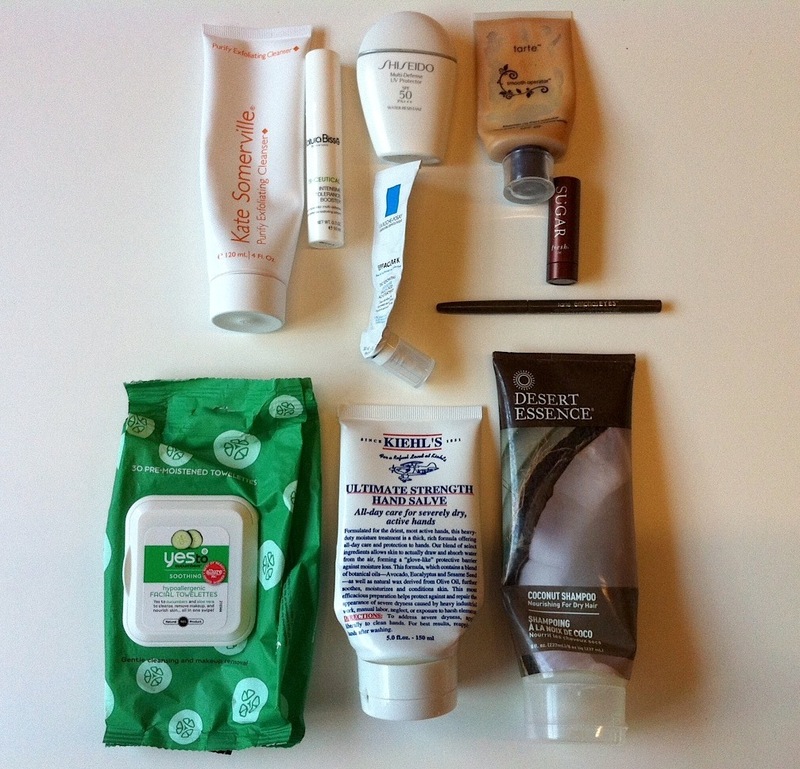 We love all the blog posts and videos on beauty products other people have used up, also called “empties”. It’s a testament to what they think of the product – whether they are willing to use it up puts them in a better position to review the effectiveness of it. Here are products that our co-founder Judy has used up in the past couple of months and her thoughts on them. Kate Somerville Purify Exfoliating Cleanser – My favorite face wash of all time (reviewed here). Highly recommend this to anyone looking for a clarifying facial wash.
tarte emphasEYES aqua gel eyeliner in dark brown – LOVE this gel eyeliner (reviewed briefly here). It has a cooling effect and goes on incredibly smoothly. Set with an eyeshadow, it will last all day. Definitely will repurchase this. Yes to Cucumbers Facial Towelettes – I’m on my 4th pack of these – so refreshing and easy to use. It’s not very effective at removing waterproof eye makeup, but it’s very cooling to use and just feels like a rejuvenating experience at the end of the day. Favorite face wipes and will continue to repurchase. Desert Essence Coconut Shampoo – A really good sulfate-free, paraben-free shampoo with a lovely coconut scent. It’s too heavy for my fine, oily hair, but for those with thicker, dryer hair types, it will be amazing. I got mine at Whole Foods. tarte Amazonian Clay tinted moisturizer in shade agent 14 – I LOVE this tinted moisturizer (reviewed briefly here). I would definitely repurchase this once I’m done with the two other tinted moisturizers I have. Shiseido Multi-Defense UV Protector SPF 50 PA+++ – An impulse purchase duty-free in the Taipei airport. Works well under makeup. Very silicone-y feeling, heavily fragranced. If that’s your thing, then you might like it. Because I’m trying to use more natural products, I don’t recommend this. Kiehl’s Ultimate Strength Hand Salve – This is a GREAT hand moisturizer (this was my 4th or 5th tube) – it’s not greasy and it is extremely effective at moisturizing. It also smells faintly of peppermint, which is nice. However, it has parabens, and for that I won’t be repurchasing. La Roche-Posay Effaclar K – I really liked this as an effective daily acne preventative (reviewed briefly here). I’m not sure I would repurchase, because I am trying to look for more natural alternatives (currently using Boscia Willow Bark Breakout Treatment – current opinion is “meh”). Fresh Sugar Lip Treatment SPF 15 – This was part of the Sephora birthday gift this year, so it was a smaller deluxe sample size. I’ve purchased the full-size before in various shades (Rose and Honey), and I like it. It’s definitely a pricey lip balm at $20+. I wouldn’t recommend it unless you find it in your budget. Natura Bisse NB Ceutical Tolerance Booster – This was a deluxe sample size from BeautyBar.com, and I LOVED IT. It was the perfect lightweight serum, and it seemed to provide a glow. No irritation whatsoever, mild scent. Spending $225 on the full-size is a bit egregious for a startup budget, but if it’s within your price range, then I HIGHLY recommend it. Any questions about these products or stories about your empties? Shoot us a comment! 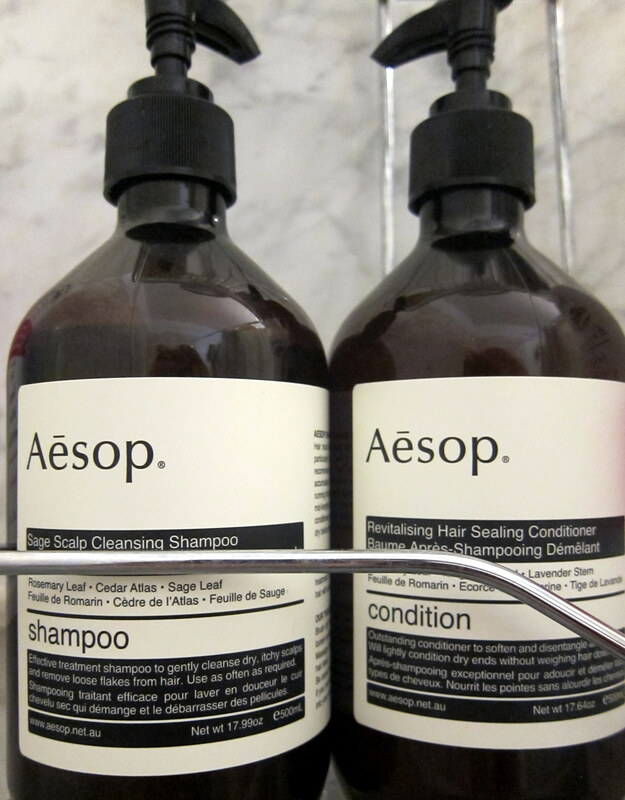 A few months ago, I purchased Aesop Sage Scalp Cleansing Shampoo and Revitalizing Hair Sealing Conditioner. My first exposure to Aesop products was in France when one of the restaurants I was eating in had Aesop hand soap. I love their hand soaps (their Mandarin Rose one smells amazing), and the packaging is nice and modern. When I got back to New York, I went to Barneys and picked up their shampoo and conditioner, because it’s all-natural. The shampoo is pretty average and didn’t really impress me that much. I like the Sage scent, but I personally like shampoos that are a little silkier than shampoos that have a clear soapy feel. The conditioner is pretty thin, and I need to use a lot of pumps before I feel like my hair is really getting conditioned. The smell is ok but not my favorite. For the price (~$45 each! ), I would not recommend these products. For all-natural hair products I actually really like the Desert Essence products that Judy loves!